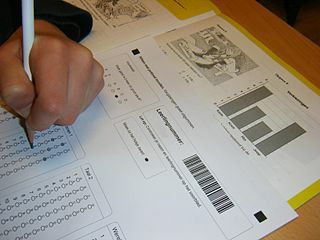 Teens: Cheating on Standardized Tests? The Los Angeles Times reported that California is coping, almost feverishly it seems, with new measures that require students to turn in digital devices before taking standardized tests. In the previous year, students posted 36 questions from standardized exams on social media platforms. The consequences were serious for those schools where the posts were from. The 12 schools are not eligible to receive academic awards the next year. I’m sure that other states will soon need to create their own guidelines to prevent just such a thing. So, what is the news here? This is almost too obvious–taking away cell phones and digital devices during a test? There were no consequences mentioned in the article for the teens who posted the images or content. But we’re still left wondering if anyone is asking the big questions tied to these occurrences. Specifically, was there any follow-up with the teens themselves? What was the intention for these posts? What are the ethical implications of these behaviors? Did the students involved do this as a joke? Was this an act of rebellion? Or even the most primary question: Did the teens even think this was cheating? I wrote some time ago about our role in guiding students toward moral clarity. At a later point, I wrote about how teens view cheating, and how shocking their experiences were to me. This is an issue that won’t simply go away. It will get worse. I remember not being surprised when corporations, in the realization that so many ethical issues were on the line, and after so many improprieties and illegal allegations, began hiring Chief Ethical Officers. “The position of ethics officer is of relatively recent vintage, first appearing in the early 1990s, according to Forbes.com. The job descriptions for Ethics Officers insures accountability between a code of ethics and actual operational procedures. It’s not a bad idea to institute this position in some school districts. An even better idea is starting to think that way now. SuperStorm #Sandy: Getting Beyond OMG! In our terribly connected world, we’re never really far from seeing devastation up close. Like unwilling voyeurs, we watch some fantastic yet unreal world that is occurring in real-time right in front of us—-on a screen in our kitchens, dens, and yet the media itself creates an incredible distance to whatever we’re seeing. It’s like the caricature of a parent eagerly taping her child’s recital while missing the real impact of the performance. We see instant pictures, read tweets and blogs, hear news updates, and feel others’ pain very acutely. But it passes. Too soon. At these times I’m sure most of us think about the fragility of life. The thread that holds everything together sometimes feels very slippery indeed. We can take this as adults. 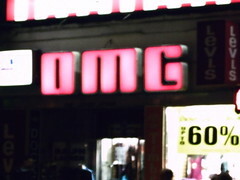 What we need to do is open conversations with our teens about what they’re witnessing beyond the OMG! reactions. How do they feel about the loss of human control these events portray? What other events have happened in their lives when they felt a loss of control? What helps them gain a sense of strength? How can they focus on gratitude for the ordinary? Do they think about G-d in any of these contexts? Here’s our chance as Jewish educators, parents, and teachers to help facilitate these conversations.